Meet Your Neighbor Albert Renken of Stronghurst. Albert is a self-employed farmer and drives a school bus, part-time in the afternoons, for West Central. 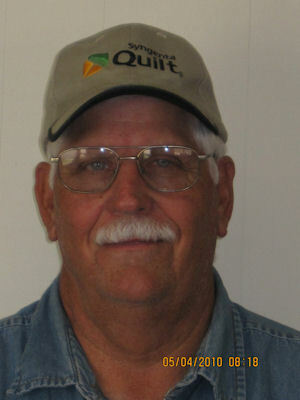 He is also retired from General Electric in Burlington, Iowa. He was born in Monmouth and raised in rural Biggsville. In 1964 he graduated from Union High School. He is married to Diane and they will be celebrating their 36th anniversary this year. Diane is employed as a cook at the West Central Middle School in Stronghurst. To their union they have three children. Dana (Mike) Murphy live in Milan. Dana is 6th, 7th, and 8th grade science and social studies teacher at Hampton. Mike is a computer informational technician for John Deere Company. They are the parents of one son, Zach (3) and are expecting a new baby in June. Trish (Devin) Staub live in rural Burlington, Iowa. Trish is administrative assistant at the Burlington Generating station for Alliant Energy. Devin is employed by Burlington Northern Santa Fe Railroad. Devin's son, Morgan, (11) is in the 6th grade at Nauvoo-Colusa. Darci is currently pursuing a bachelors degree in athletic training at Western Illinois University, in Macomb, with hopes to continue her education in physical therapy. Albert's parents, Merle and Marie, are both deceased. His siblings are Bill (Judy) Renken, Louise Renken, Edith (Merlin) Ray and Mary (Leroy) Hall. Albert is a member of the Biggsville Methodist Church where he serves as chairman of the administrative board. He enjoys pro football his favorite team being the Chicago Bears and the St. Louis Cardinals is his favorite baseball team. He also enjoys attending the Burlington Bees games. Foremost he loves spending time with his family and grandkids. He has been a member of the Henderson County Board for 8 years, on the Farm Bureau board, Soil and Water Conservation Board, Fair Board, Terre Haute Township board, volunteer for the Biggsville Fire Department and a volunteer for the Terre Haute-La Harpe Fire Department. Albert said, "What I love most about farming is planting the seed, seeing it grow and come to life."